A350 XWB News: A350 FAL increases the speed & reduces the cycle. A350 FAL increases the speed & reduces the cycle. Airbus is poised to increase assembly of its latest A350 model after getting off to a deliberately slow start to curb risks, the head of Airbus programmes, Didier Evrard, said. 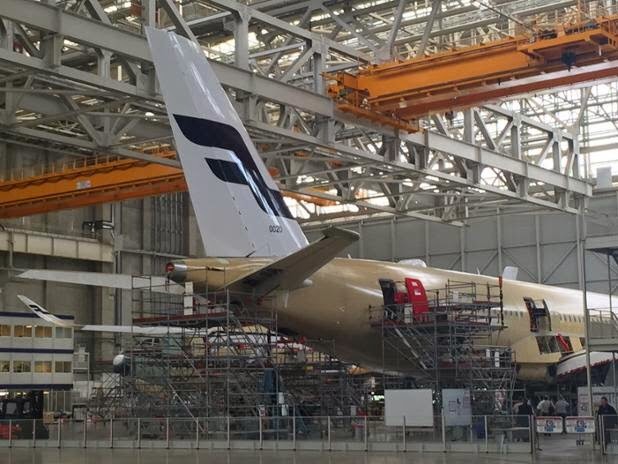 After delivering 1 aircraft in December and another 2 in the first quarter, Airbus is ready to pick up the pace by delivering about 5 between now and August, leaving 8 more to complete to reach a target of 15 for the whole of 2015. Currently, the A350 assembly plant is running at different speeds as it adjusts to building the new carbon-composite jet. The supply chain is already at 4 or 5 aircraft a month. Enough parts are entering the assembly line to make 3 aircraft a month, but deliveries are much slower. This reflects the normal process for adapting to a new product, but also a deliberate strategy to take the time needed to weed out risk, said Evrard in an interview. "We are running quite fast at the entrance to the Final Assembly Line (FAL) but the production cycles inside the FAL are still quite slow," Evrard said. "So we are going to both increase the speed and reduce the cycle. In this way, aircraft will be leaving the FAL at a rate which is closer and closer to the rate at which they enter." The changes do not reflect an increase in the overall production target, which foresees 10 planes a month by 2018. Based on the article “Airbus ready to speed A350 assembly to meet targets” published in Reuters. What I've been saying all along. There was a time when I thought Airbus had caught up with Boeing after all its problems with the 787. 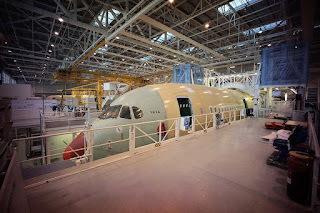 It seems Airbus is a long way behind again with the A350. Boeing is crashing the 787 out at 10 per month, which is a great advert for them as another 240 a year hit the airways. Airbus said many years ago that its schedule was 1 a month for 2014 and 3 per month 2015 then 10 per month 2017/18. 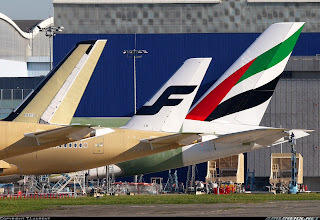 Well on this basis you can see that Clark of Emirates wont be buying the A350. He'll buy Boeing,knowing when he will get his product. Airbus has a very good order book but it needs to prove that it can deliver. 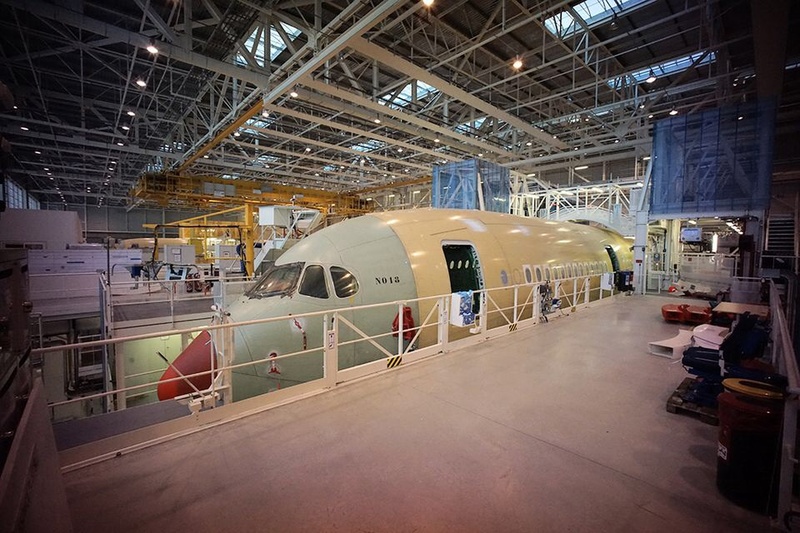 A350-1000 “very challenging” but “on track”. 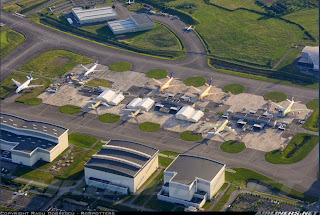 A350 systems for airport taxiing. Hexcel: new factory in France for A350 ramp-up. A350 will attend Oshkosh 2015 in July. 2nd customer´s A350 takes to the sky. Philippine Airlines considers buying the A350.